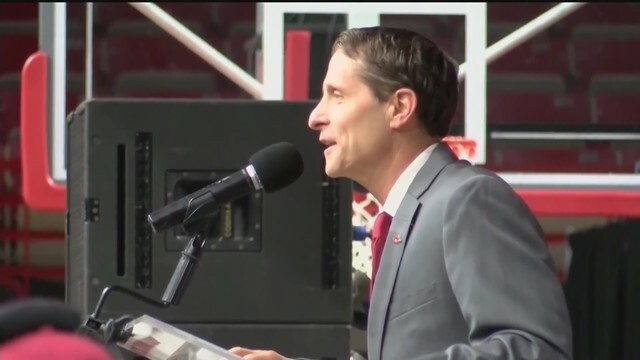 LITTLE ROCK -- Word on the street is that new Arkansas men's head basketball coach Eric Musselman is fond of bringing graduate-transfers into the fold of his program, and the start of his second week at the helm of the Hoop Hogs seems to support that notion. Musselman, who was hired to take over Razorbacks basketball on Sunday, April 7, and was introduced to fans and media at Bud Walton Arena in Fayetteville the following day, wasted little time extending five scholarship offers to top-shelf class of 2020 prospects during his first week at Arkansas. And to kick off Musselman's second week on the job, specifics regarding three grad-transfers' intentions to visit to Fayetteville in the coming days and weeks surfaced on Monday. According to a source, grad-transfer Jeantal Cylla (6-7 forward, North Carolina-Wilmington) is set to take his official visit to Arkansas this weekend (April 19-21). Cylla, who played two seasons at Florida Atlantic before transferring to UNCW, averaged 13.7 points and 4.6 rebounds in 28.2 minutes per game while shooting 42.7% field goals (including 31.1% from 3 while averaging one make per game from distance) and 84.8% free throws. Cylla will have one year of immediate playing eligibility once he transfers. Ohio State, Virginia Tech, Georgia Tech, Georgia, Wisconsin, and Oregon State are the high-major programs reportedly interested in Cylla. Grad-transfer Jaire Grayer (6-5 guard, George Mason) said he'll take his visit to Arkansas on Monday, April 22. "Yes I am," Grayer said of his set visit plans to Fayetteville. Grayer averaged 8.8 points and 3.1 rebounds in 19.5 minutes per outing through seven games played in his 2018-19 senior campaign at George Mason -- a season that ended abruptly with a foot injury that has led him to seek a medical redshirt and a subsequent extra year of eligibility in '19-20. In parts of four seasons combined at George Mason, Grayer averaged a combined 11.0 points and 5.3 rebounds while shooting 35% from 3. Grad-transfer Haanif Cheatham (6-5 wing, Florida Gulf Coast) confirmed on Sunday that he would in fact be taking an official visit to Arkansas, then on Monday he said he's looking to do so in early May. 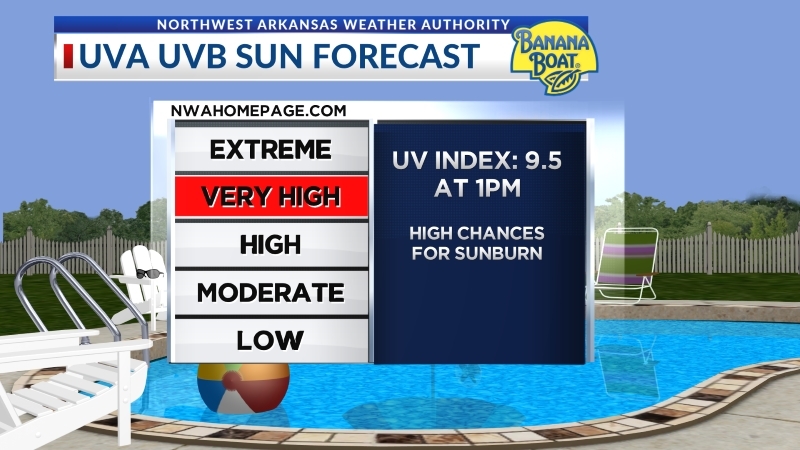 "Most likely May 3-5th," Cheatham said. "Waiting to confirm it." Cheatham, ranked national No. 75 and a 4-star prospect coming out of high school in 2015, will have one season of immediate playing eligibility in '19-20. He spent two full seasons and part of a third at Marquette of the Big East conference before transferring to FGCU where he averaged 13.2 points, 4.8 rebounds, and 1.9 assists as a starter through 10 games in '18-19 before suffering a shoulder injury that ended his season. "I'll be 100% for the ('19-20) season," said Cheatham, who in addition to Arkansas is also considering Cincinnati and Nebraska. Additionally, Musselman and Arkansas may be interested in Jared Bynum, a 5-10 freshman guard who is exploring a transfer from St. Joseph's after averaging 11.3 points, 4.5 assists, and 3.6 rebounds for the Hawks in 2018-19. Musselman's philosophy of recruiting transfers in bulk is tied to his experience as an NBA coach coupled with the rapid growth of NCAA Division 1 transfers over the years. According to VerbalCommits.com, the number of announced transfers so far in 2019 is fast approaching 600 players (704 in 2018 representing 12.7% of D1 hoopers, and 698 in 2017 representing 12.6%). Musselman likens a college transfer to a free agent player at the professional level. "We have vetted them (transfers) and really done an incredible amount of research," Musselman said last week during the State of the Hogs fan event in North Little Rock. "We talk to them about 'Why are you leaving, and what are you looking for in your next stop, and we're about the team and we're not about the individual.' And we've had incredible character -- high, high character -- and great students that have come in as transfers. "I think it is the nature of where our society is in all sports. And basketball probably has more (transfers) than the other sports." Musselman's five offers that went out to 2020 high school prospects last week are: Moses Moody (6-5 shooting guard, Little Rock native, Montverde Academy in Florida, ESPN 5-star prospect); Jaylin Williams (6-10 forward / center, Fort Smith Northside); Chris Moore (6-6 combo forward, West Memphis, composite national 4-star prospect); and Hillcrest Prep (AZ) teammates Kyree Walker (6-5 wing, composite national No. 19 / a 5-star prospect) and Dalen Terry (6-6 point guard, composite national No. 35 / a 4-star prospect).